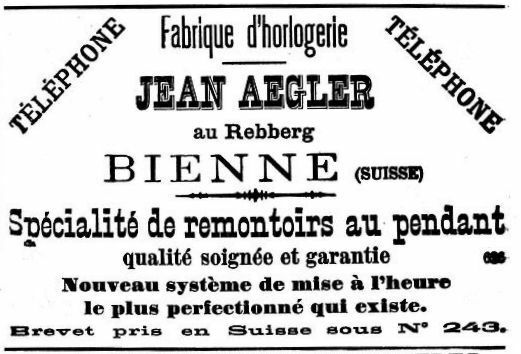 Aegler manufactured movements in its ébauche factory in the Rebberg district of Bienne, and as a consequence of this Rebberg was a registered as a trade mark by Aegler, hence these movements are often referred to as "Rebberg" movements, even if they are not stamped with the Rebberg name. 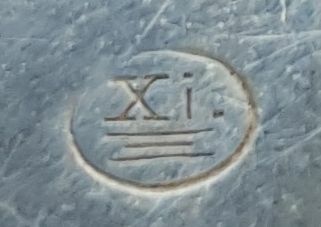 If they are stamped Rebberg it is often on the bottom plate and under the dial so not normally visible. 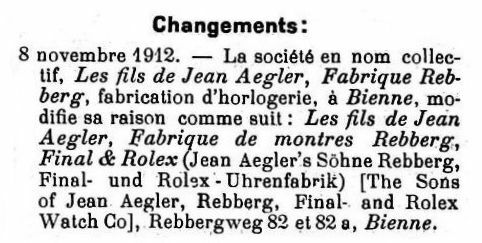 Aegler supplied Rebberg movements to Wilsdorf & Davis, and to a lot of other companies. 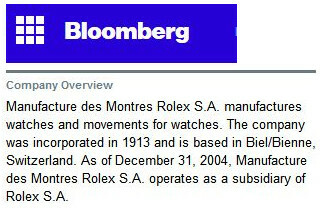 In fact it is most likely that Aegler supplied complete, cased, watches. 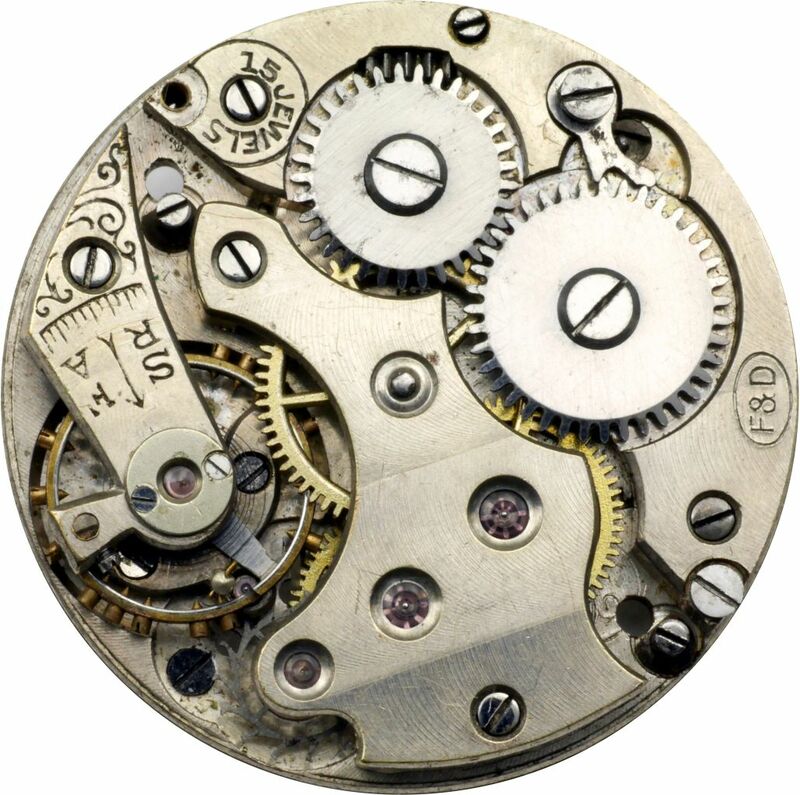 Wilsdorf & Davis and the other companies in London that Aegler supplied were simple import operations with no factory capability in England to put movements into cases and test the finished watches. 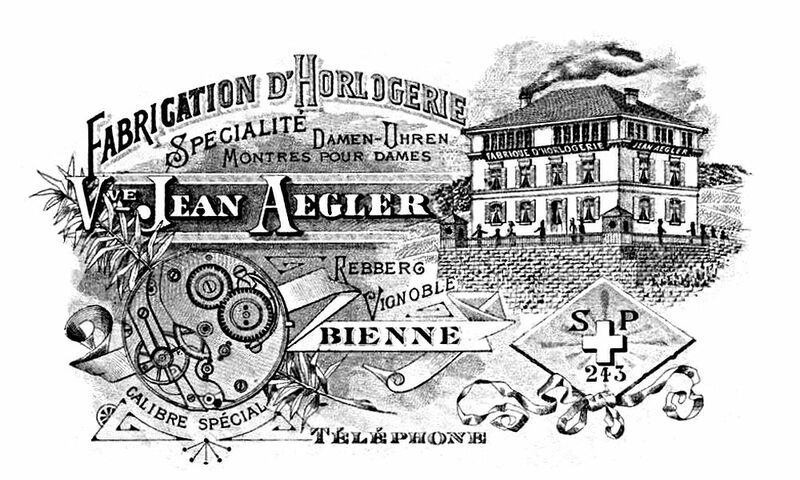 All the silver cases that are seen with Rebberg movements, and gold cases until 1915, were made in Switzerland, so it is most likely that the movements were cased and the finished watches tested at the Aegler factory. 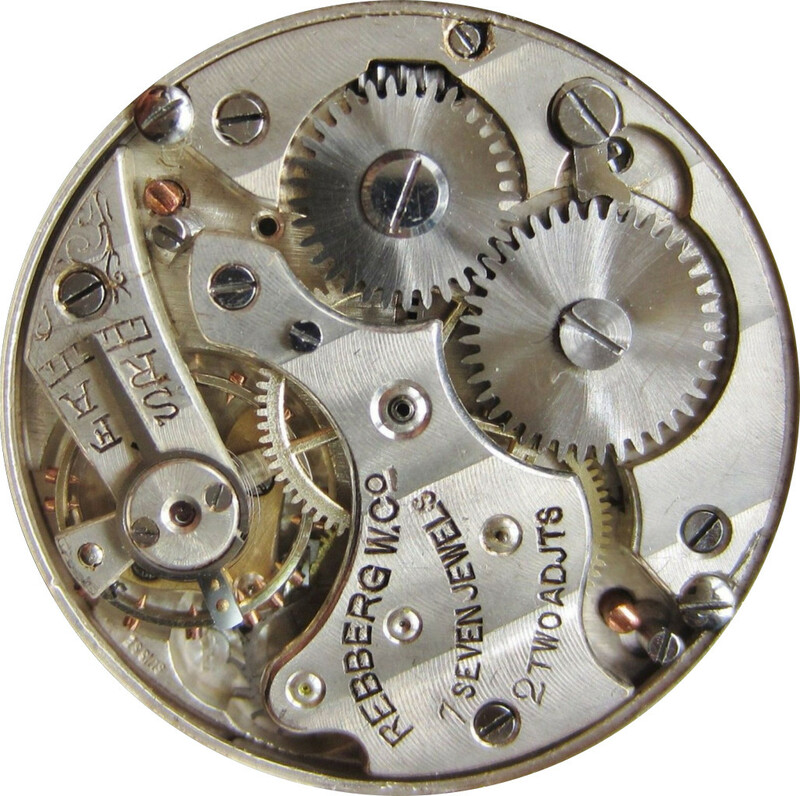 The image of the Rebberg Watch Co. movement is courtesy of eBay member allthatsparkles69. 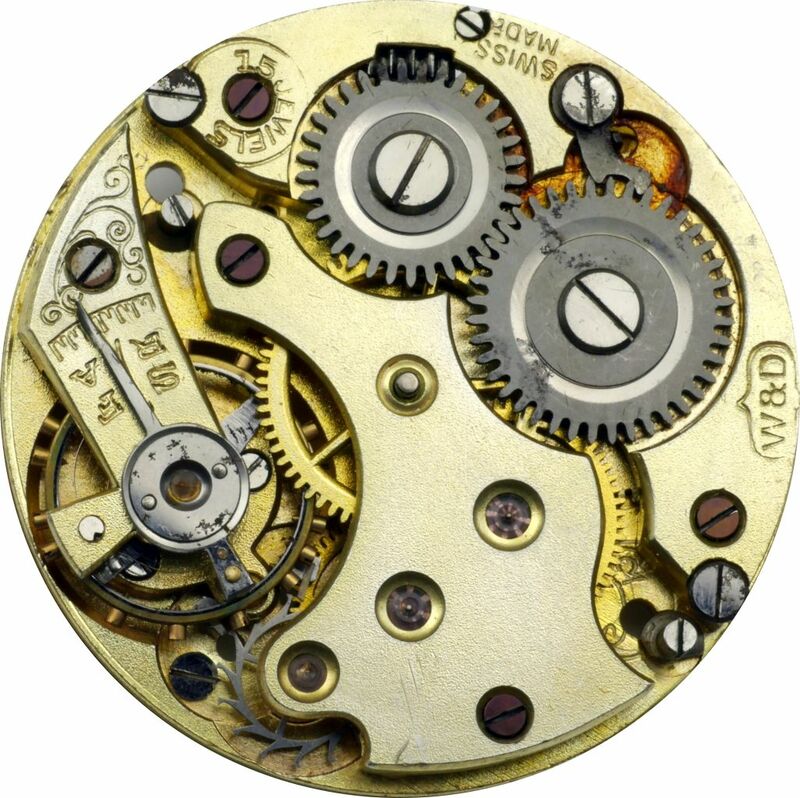 The image of the Rolex 13 ligne savonnette movement is of my grandfather's wristwatch movement. 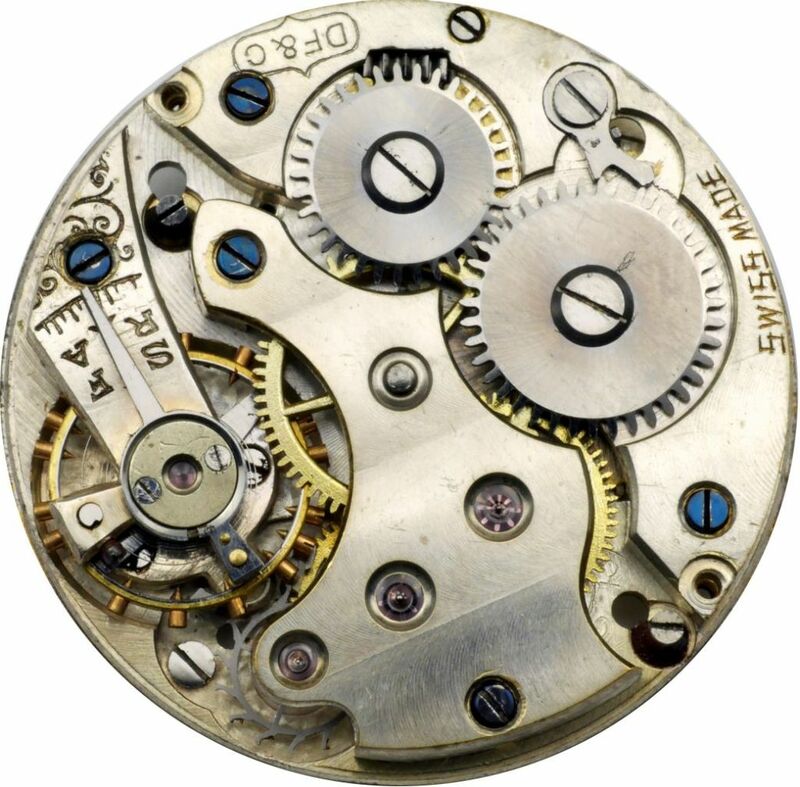 All the other movements here are by kind permission of Owen Gilchrist who allowed me to photograph movements of his. 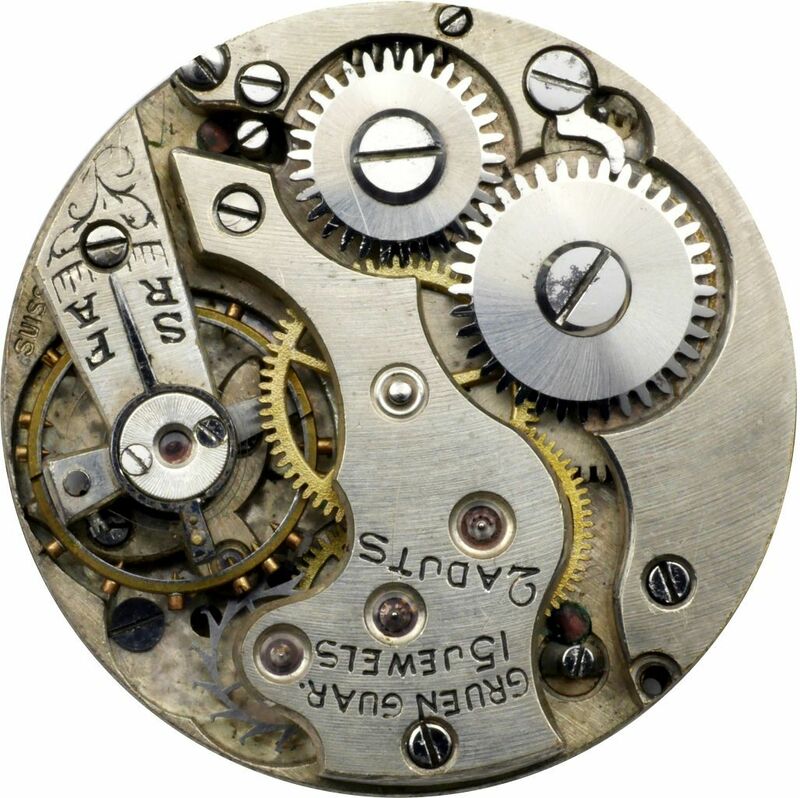 Movement stamped "DF & C" for Dimier Freres & Cie: Click to enlarge. 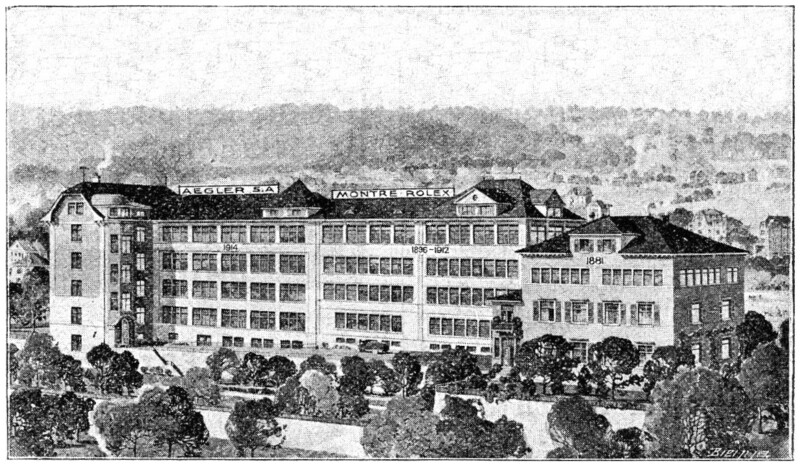 Movement stamped "F & D" for Fulda & David: Click to enlarge. 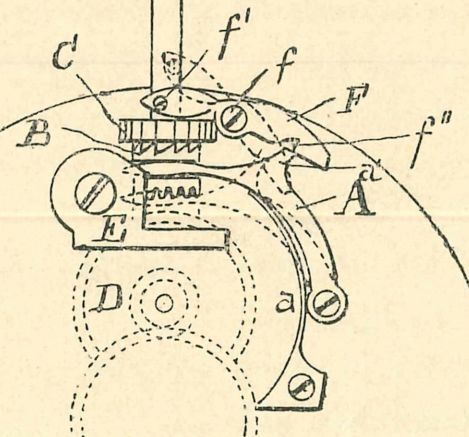 Movement stamped W&& D for Wilsdorf & Davis: Click to enlarge. 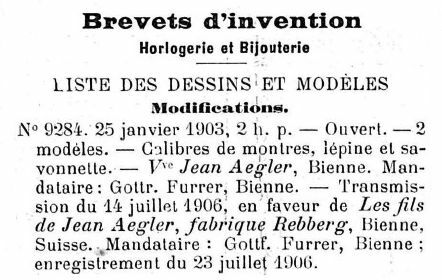 Movement marked Gruen on train bridge: Click to enlarge. 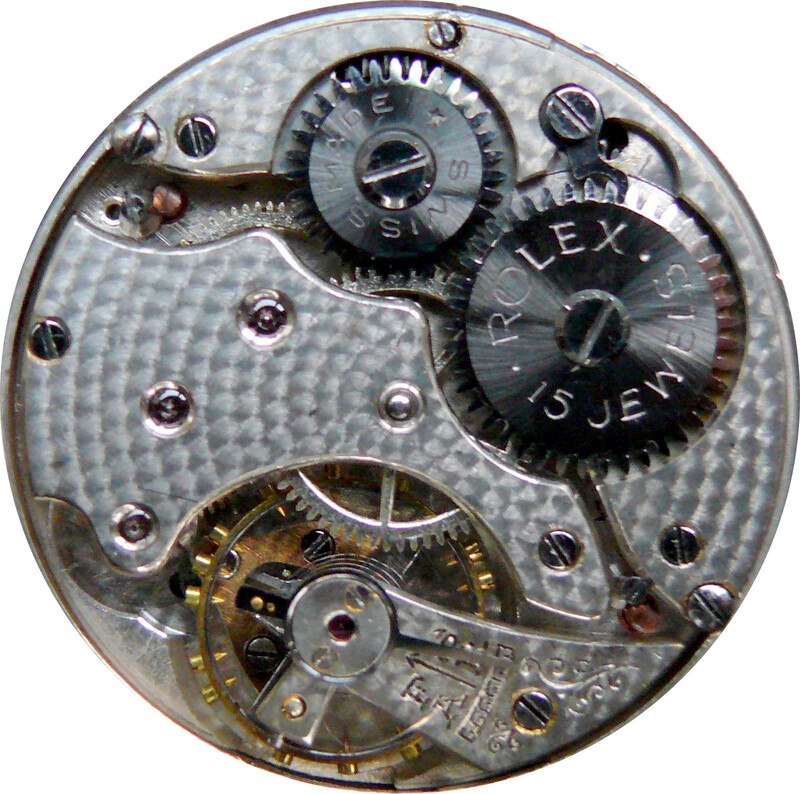 Movement marked Rolex on ratchet wheel: Click to enlarge.